They meet at a bar: an Inuit guy who hates snow and a Tuareg woman traveling with her sled dogs across the frozen land. They fall in love; spend winters in the Sahara, summers in the Arctic. He tells her his father was a depressed hunter, couldn’t kill a living creature—skinned a carcass of a dog to make his son a coat. She tells him her mother died in childbirth. The midwife dipped a finger in the umbilical cord blood, rubbed it on her baby lips so she’ll be beautiful. A beautiful killer. They tell each other it’s okay, they are safe now. The dogs lick their wet faces. They read books and recite particularly good paragraphs. Celebrate with pizza and comfort with corn soup. Go for vacations in the tropics. Watch a documentary about sugar. Stop consuming sugar for a month. He calls her qanik. Snowflake. He doesn’t know more than four words for snow. She calls him haboob. Sandstorm. She knows seven words for sand. The dogs bear a new litter. Two puppies die, four survive. He can’t sleep at night, brings all the dogs to the bedroom. Picks up the puppies one by one: Aput. Snow on the ground. Qana. 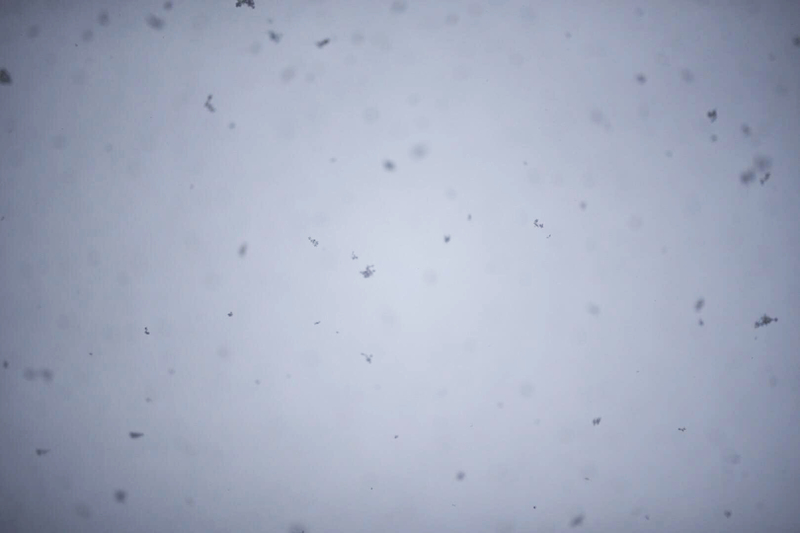 Falling snow. Qiqsirpoq. Drifting snow. Qanik. She’s asleep, dreaming of long, narrow dunes. Mounds of sand accumulating around vegetation. The dogs run in their sleep. Noa Sivan was born and raised in Israel and is currently living in Granada, Spain. She knows fifty words for dog. Her little words appear in Jellyfish review, Wigleaf and more. Find out more at noasivan.com or follow her on Twitter at @migdalorr.